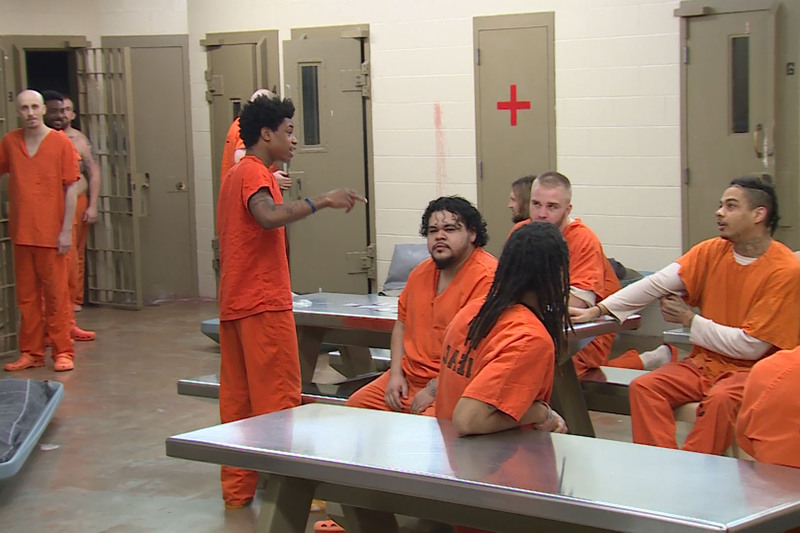 As counties across Indiana grapple with exploding jail populations, some state lawmakers are looking at ways to give them relief. They’re proposing changes that include directing more funding to counties and sending some felons back to prisons. But, in part one of a two-part reporting series, we explain why some worry those are temporary fixes to a larger incarceration crisis. Danica Kanady has been at the Hancock County Jail for nearly a month. "Trying to shower sometimes can be a problem," she says. "Just a number of things that can come with the overcrowding." She’s housed in a cell block that’s so full, several women are sleeping on bunk beds in the common area. There are also a couple of plastic beds on the ground that look more like sleds. It's hard to get much sleep when there are so many people in the small space. And, staying out of trouble takes work. "You have people who get upset because there’s a line in the shower, it’s razor day and somebody jumps in front of them," Kanady says. "And, people are pretty quick to fight about things like that. It can wear on you, like I said. And a lot of people can’t handle it." On this particular day, there are 211 people in a jail meant to house fewer than 160. That doesn’t include the 70 inmates Hancock County is paying other facilities to house. "Last year we spent almost $600,000 sending inmates to other counties," says Jail Commander Keith Oliver. Oliver says the overcrowding heightens tensions, resulting in more violence between inmates and attacks on jail staff. It's one of the reasons the county is determined to build a new, larger jail. Hancock County residents got a chance to see the plans during a public hearing this week. The sheriff says he needs a facility with nearly triple as many beds and double the staff to address current and future jail needs. The new facility would include a medical and therapeutic unit. But, paying for the project will be a challenge. Initial estimates put the price tag of the new jail at $35 million. But, the county council admitted this week it doesn't know the final projected cost. And, voters already rejected the idea of raising property taxes to fund construction. The county council is now considering a 0.2 percent local income tax hike, despite resistance from some in the community. "To do the proper things in Hancock County that we want to do with inmates, to try to get them the proper treatments to allow for growth, to allow for staff to be more safe, to allow inmates to be safer in our facility, this is something that we have to do," Oliver says. 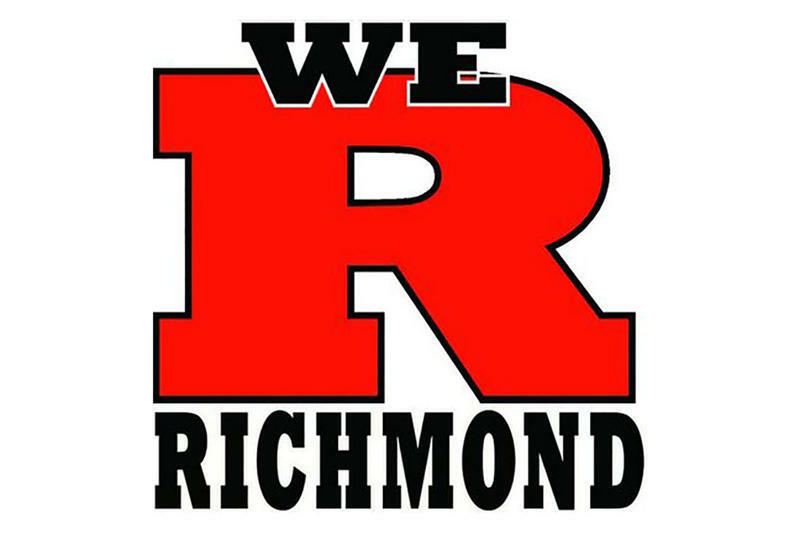 During the public hearing, some residents questioned whether the county has considered budget cuts, or other methods of funding the project. Some people jokingly call Hancock County "handcuff county," because of its tough-on-crime reputation. Matthew Copher lives in Greenfield, and says he thinks the county needs to think of other ways to solve jail overcrowding. "There’s also other alternatives, as well," Copher says. "Rehabilitation for people who are capable of being rehabilitated, restitution to the victims of crime. Instead of just locking them up in the local jail, make them do something useful." But the problem extends well beyond Hancock County. A 2018 report from the Indiana Criminal Justice Institute shows 77 percent of the state’s jails were at or overcapacity. 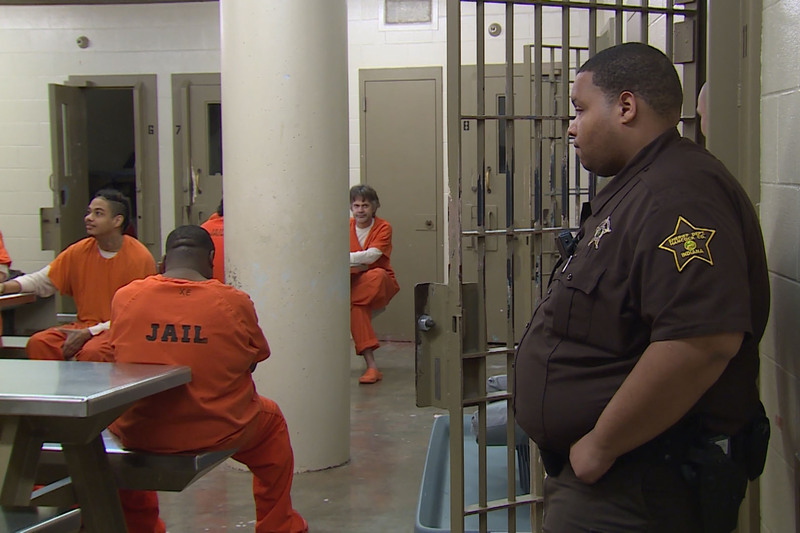 Several proposals at the statehouse aim to alleviate overcrowding at county jails. Rep. Randy Frye (R-Greensburg) says he thinks the statehouse contributed to overcrowding when it passed criminal code reform a few years ago, and he thinks it's up to legislators to help resolve the problem. A bill he's proposing would require the Department of Correction to create regional holding facilities where it would house convicted Level 6 felons from counties whose jails are at capacity. But, there's no funding attached to the bill. Frye says the DOC would get the same per diem rate for housing the felons that counties receive. But, the $35 a day would not cover the cost of operating the regional holding facilities. Frye says the state would start by using buildings it already owns, like shuttered prisons, if the bill passes. "To me it’s the old saying 'You can pay me a little bit now, or you can pay me a whole lot later,'" Frye says. "And, so, we are either going to go and build a $25 million jail in every county, or we’ll spend some, not really that much, to reopen the facility like Henryville." Frye's bill recently passed the House. Another proposal from Rep. Ryan Lauer (R-Columbus) would increase the per diem rate counties get for housing Level 6 felons from $35 to $55. It would require county governments to use about half of that money for police or jail operations. "My bill focuses on county resources, on bringing that state per diem up to the level so counties will get adequate funding for housing Level 6 felons," Lauer. The bill also allows county sheriffs to request the DOC take custody of a Level 6 felon. The Legislative Services Agency analysis of the proposal says it would cost about $16.1 to $18.5 million more per year. It has yet to be heard in committee. And Rep. Bob Cherry (R-Greenfield) wants to increase the portion of a local income tax counties can use for jail and rehab facilities. Instead of using 0.2 percent, counties could spend 0.4 percent on those facilities. That could help his district as it considers how to fund a new jail. Cherry's bill also has yet to be heard in committee. Is More Comprehensive Criminal Justice Reform Needed? State data suggests the increasing jail population in Indiana is part of a bigger problem. While Indiana's prison population dropped in the years following criminal code reform, it's trending up again. So is the overall incarcerated population in the state, which includes those in prison, jails and community corrections. Research from the Vera Instititue of Justice, a non-profit that aims to reduce mass incarceration, shows Indiana is an outlier when it comes to its jail population. "We're in this moment that's kind of talked about as the reversal of mass incarceration," says Jasmine Heiss, director of outreach and public affairs strategist for The Vera Institute's In Our Backyards initiative. 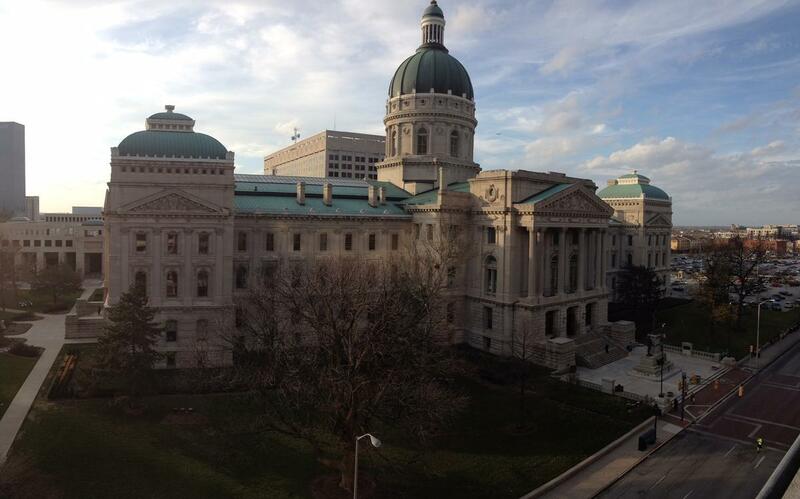 "Indiana in many ways has been moving or staying in the opposite direction." Heiss says no other state has increased its jail population so dramatically in the past decade. 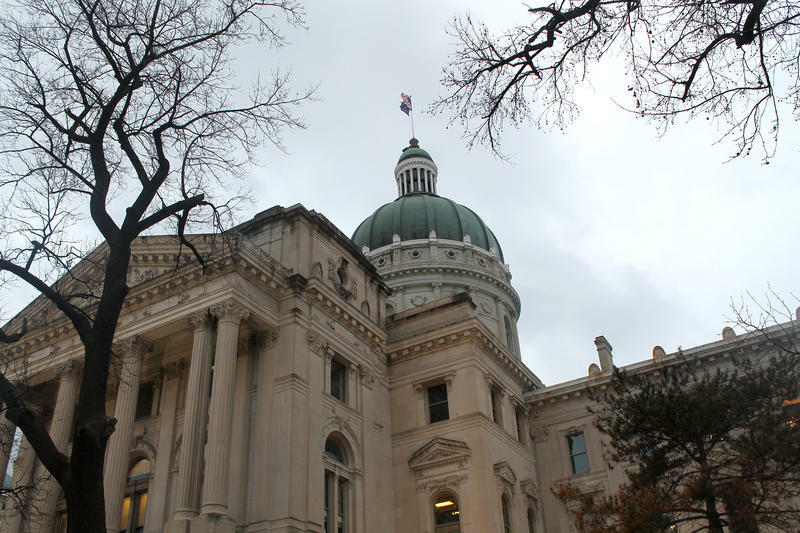 Research Associate for Vera Jack Norton says Indiana's reform efforts also haven't reduced costs, like so many legislators promised. "Instead of a real reduction of costs, it's been the devolution of costs, the cost of mass incarceration, from the state onto counties by increasing jail incarceration rates at the county jail level," Norton says. "Which of course creates a more stripped down, locally based system of incarceration." Rep. Matt Pierce (D-Bloomington) suggests the state needs to address the reasons why people end up in jails or prisons. He says too many people are sitting in jail who have yet to be convicted of a crime. "That's where the focus really needs to be – how do we use evidence-based best practices to ensure we're only keeping people in jail before trial that are actually a danger to society?" Pierce says. A pilot program in some of the state's counties aims to do just that. A rule the Indiana Supreme Court released in 2016 says counties should consider someone's risk when determining their pre-trial release, instead of focusing on whether they have the ability to post bail. Counties who are part of the pilot program use a pre-trial risk assessment to determine whether monetary bail should be required in each case. Although, the risk-assessment tool isn't without criticism. Some say there's still room for bias. Criminal Rule 26 is supposed to be implemented statewide next year. Pierce says the state should also shift its focus to increasing services, not building new jails. "We need to be building treatment facilities, mental health facilities to get at the underlying cause of what's actually causing people to be ensnared in the criminal justice system," he says. "Otherwise we're just treating the symptoms." Part two of our series will air Feb. 15. 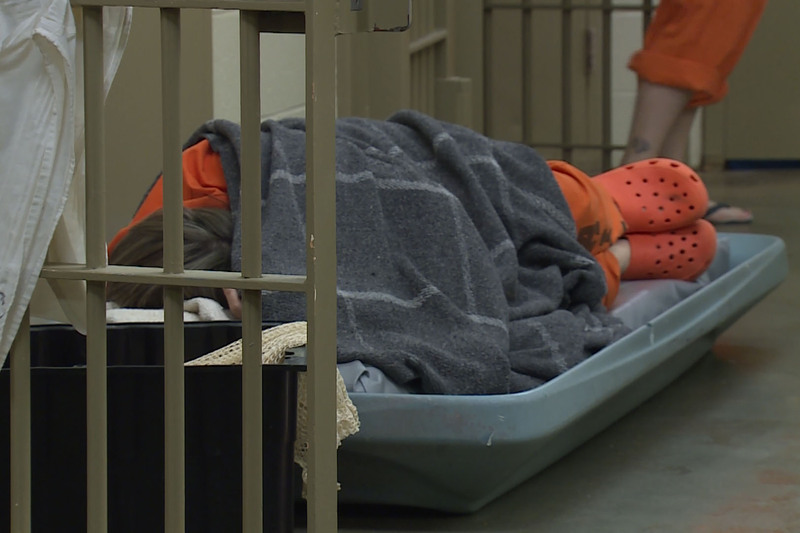 We'll examine how jail overcrowding is impacting those with mental illnesses.